The Stockwell Festival is back this year after a two year absence. Starting at noon on Saturday 20th September, the festival is being held in Larkhall Park. 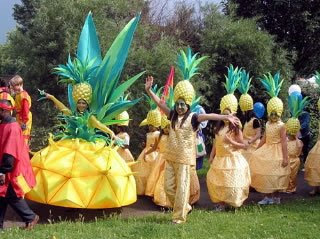 The famous pineapple parade is back which will samba from Larkhall Park down to Stockwell Road. There's also a free after-party at the Cavendish Arms on Hartington Road.